When putting together a pre or post-workout meal, it pays to have some ideas first. These foods are all great options for your recovery needs. These bright and colorful tubers aren’t just delicious and perfect for making healthy versions of fries; they’re also incredibly nutrient-dense. Add ½ cup or 1 small sweet potato to your post-workout meal with some lean protein. 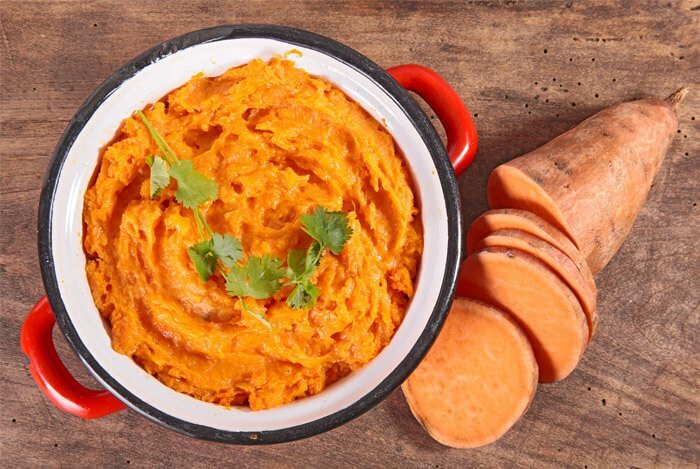 Many people enjoy blending cooled and cooked (or canned) sweet potatoes into a protein shake/smoothie, or you can prepare a post-workout meal ahead of time such as some sweet potato with some fish or chicken. Other options include roasted sweet potatoes with egg whites, sweet potatoes stuffed with black beans and salsa, or if you’re on the go, just keep some cooled, cooked sweet potato halves on hand, and eat them alongside your post-workout protein shake. Oats are another type of carbohydrate that is great to consume post-workout. Most people digest oats fairly well and they also taste good. Oats are also a good source of fiber which can satisfy your post-workout hunger. 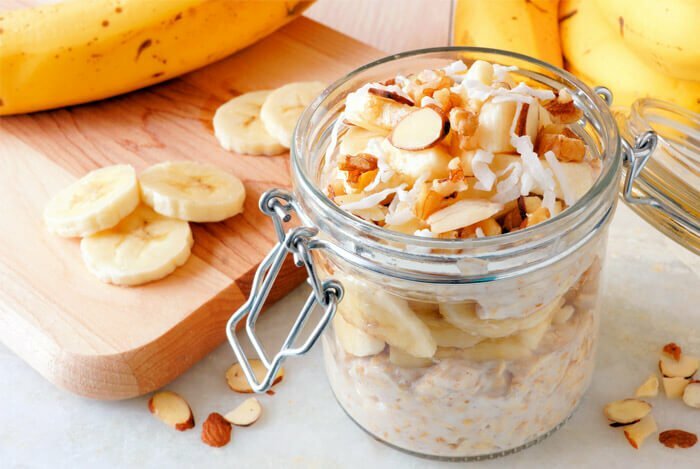 You can eat oats any way that you enjoy post-workout. Overnight oats, cooked oats, blended oats, or homemade oat bars are all popular ways many people enjoy using them. 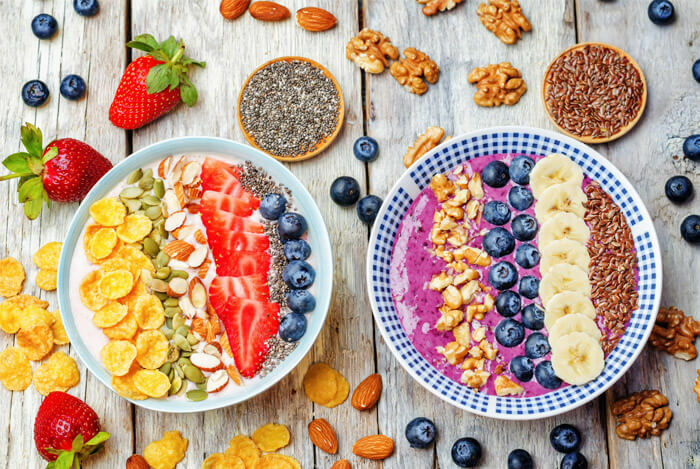 Oat bran, steel cut oats, rolled oats, and even plain quick oats all make great types of oats to choose from, so select whichever one you enjoy the most and aim to eat ½ cup each day. Protein powders are popular foods many people enjoy consuming post-workout, however, if you’re not a fan or prefer not to use a powder for whatever reason, consider some non-fat, plain Greek yogurt or regular yogurt if you tolerate dairy. 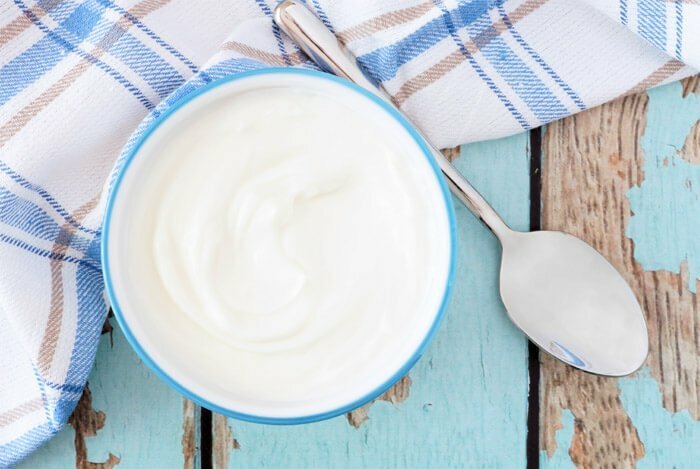 Yogurt is rich in protein along with slow-digesting carbs. You can blend yogurt into a smoothie, post-workout shake, freeze it before your workout ahead of time and enjoy it as frozen yogurt after your workout, or even add it to some oatmeal mentioned above for a more filling meal! These two types of seeds are nutrient-dense powerhouses for your muscles, brain, and your digestion. You can blend these into a shake or smoothie, add them to oatmeal or yogurt, sprinkle them on a salad or some fish, put them in homemade oat or protein bars, or you can mix them with some water and your favorite protein powder. Zucchini? Yes, zucchini! 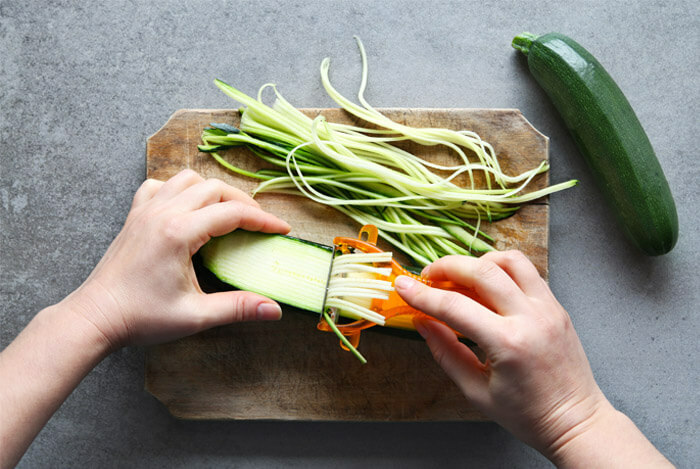 Zucchini is one of the most overlooked healthy vegetables out there, and it’s such a versatile veggie you can use post-workout for a variety of reasons. Zucchini is rich in Vitamin C, potassium, water, and fiber. Many people enjoy shredding zucchini into oatmeal (also called zoats) before cooking, but you can also chop it and freeze it and just blend it into your next protein shake—you can’t even taste it! Zucchini can also be roasted, eaten raw with some hummus or yogurt, and it’s also tasty with salt-free seasoning and some fish as a healthy, lean post-workout meal too.